Awesome customers! In this time of gratitude, we are especially grateful for our valued customers. Thank you for recognizing our innovative approach, for putting faith in our company, and making our success happen. We appreciate your confidence in us. We are especially thankful to our clients who constantly motivate and challenge us to continually meet and exceed expectations. We are grateful for the pleasure of serving you and meeting your business needs. A Brilliant Team: To our employees, we are lucky to be in the company of dedicated and talented individuals who each bring with them their unique skills and experience. Our brilliant group of employees consistently provide exceptional service and deliver outstanding results. Without their commitment, creativity, and high standards, we would not be the thriving company we are. We are thankful to be surrounded by such a unique group of employees here at the StayNTouch family. Shiji Group: Something which we are especially grateful for is, earlier this year, Shiji Group, a leader in global hotel technology acquired StayNTouch. We are grateful that we found a company that shares a mutual trust and desire to change the hospitality technology landscape and elevate the standard of service with a global sales and support infrastructure. We want to thank you for welcoming us into the Shiji Group family and being a trusted, collaborative partner. While 2018 isn’t quite over yet, here’s to another year of giving thanks for all our blessings. 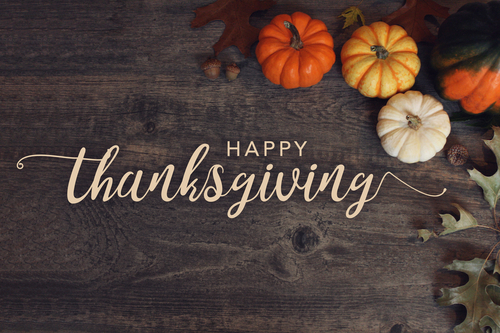 From all of us at StayNTouch, we wish everyone a safe and joyful Thanksgiving holiday!